With temperatures of -3 degrees C forecast for the coming weekend, make sure you have enough logs in stock for the weekend. We have delivery slots available for Friday this week. We have plenty of fully seasoned logs in stock for immediate delivery. Very few know but if you buy logs stacked in a crate they have all originated from Latvia or Russia! Low timber prices and labour costs in these countries mean that they have the resources to stack logs in crates and ship them over to the UK for resale by merchants. To us the seems madness, when we as a nation have enough timber to manage our woodlands properly and replant the felled trees. (Something that surely is questionable in other countries). It is law in the UK that does not allow woodland to be felled and not replanted, all of which is managed by the forestry commission. All our logs are sourced from woodlands within Cheshire and surrounding counties, and to achieve our Grown in Britain status timber is only sourced from managed woodlands meaning those felled are replaced with new trees. Even though Latvia and Russia may have cheap resources, by the time the timber is shipped to the UK you will find in many cases that our UK stock is better value for money – so its a win win situation, buying British supports our economy, looks after the UK woodlands and is better for your pocket ! 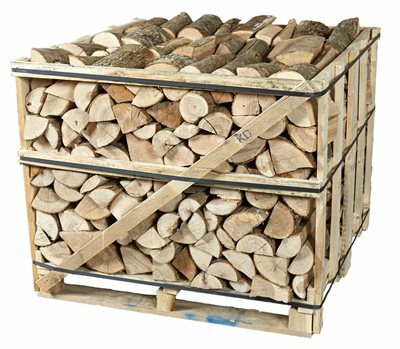 As the weather turns colder this month with our first frost we have seen a dramatic upturn in sales of our netted logs and sticks to garage and shops in Cheshire for resale. 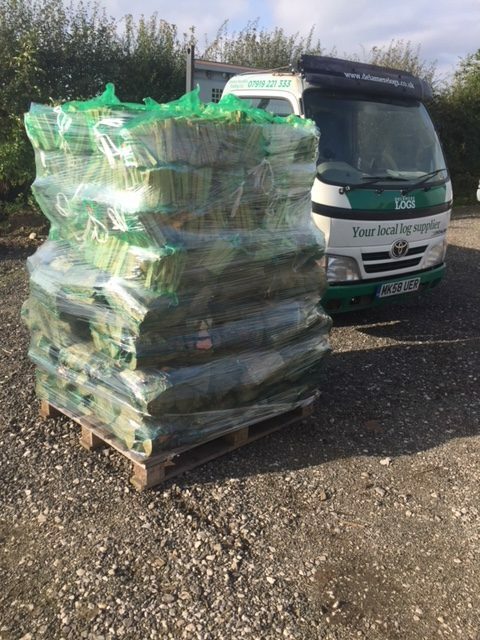 We can in fact supply netted logs across the UK by pallet courier. All our logs are fully seasoned ready to burn, huge stocks available for a next day delivery if required urgently.